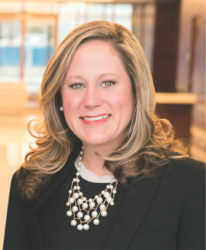 Congratulations to firm partner Holly Rampy Baird for her inclusion in Park Cities People 20 Under 40 for 2018. This special section organized by People Newspapers highlights young adults making a difference in their community. What is your business philosophy? My philosophy is to offer the highest level of representation possible to each client, while always being mindful of: 1) the emotional and financial needs of the family; 2) the efficiency of the path being taken. Read more on Park Cities People.